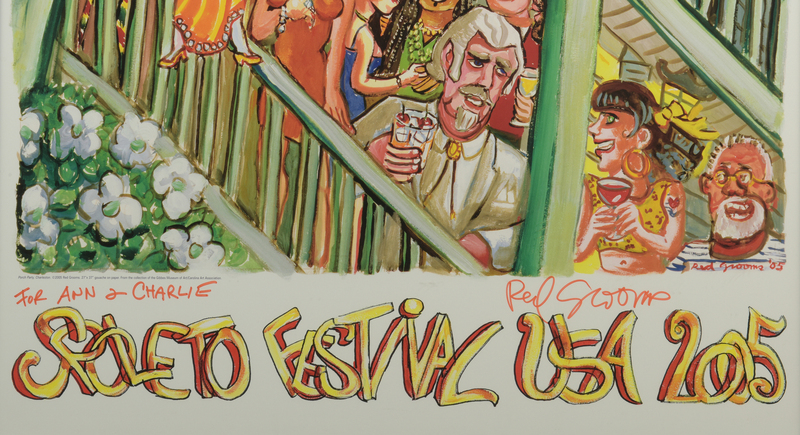 3 Signed Red Grooms (Tennessee/New York, born 1937) posters: 1- Red Grooms (color offset lithograph poster of "Porch Party, Charleston" for the Spoleto Festival USA 2005, from the collection of the Gibbes Museum of Art/Carolina Art Association. 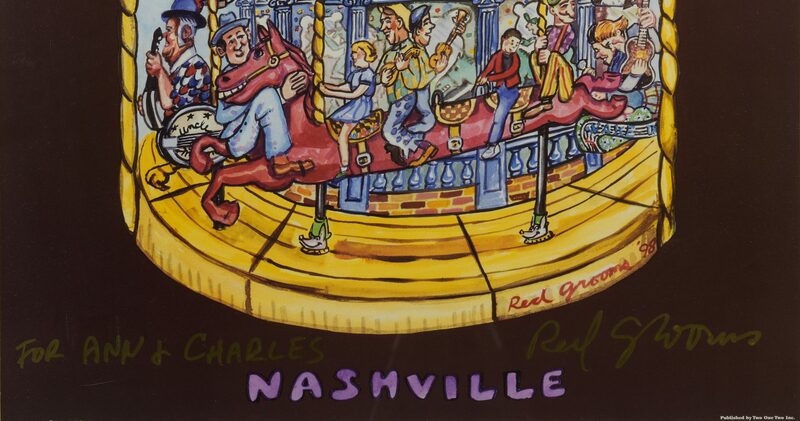 Inscribed "For Ann & Charlie" in red marker, lower left under image, signed "Red Grooms" in red marker, lower right under image. Housed in a contemporary wooden frame. 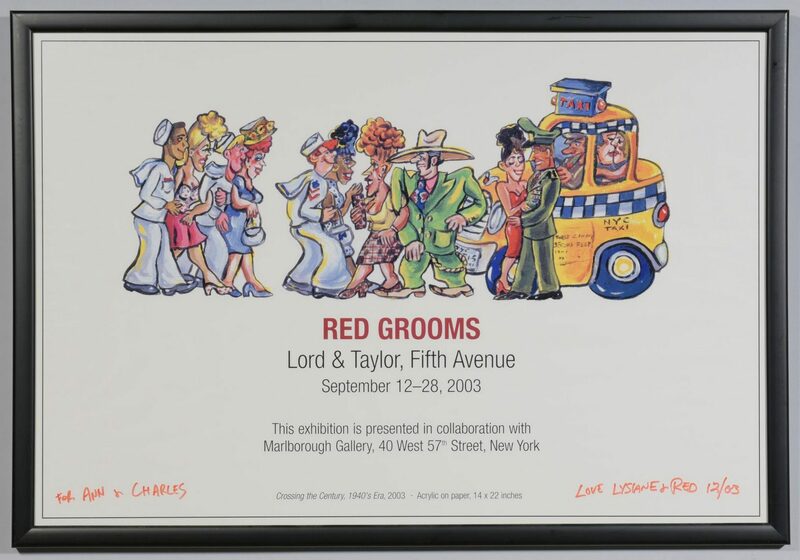 Sight – 38 1/4" H x 25 1/2" W. Framed – 40 3/4" H x 28" W. 2 – Red Grooms (Tennessee/New York, born 1937) signed color offset lithograph poster, based on Grooms' drawing titled "Crossing the Century, 1940's Era , 2003," printed for Lord & Taylor in collaboration with the September 12-28, 2003 Marlorough Gallery exhibition. 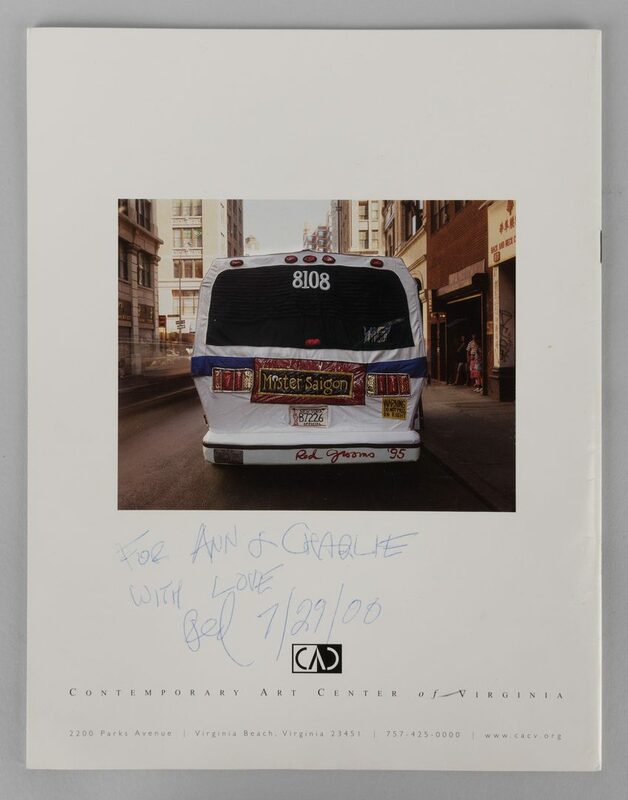 Signed in red marker on the bottom margin, "For Ann & Charles/Love, Lysiane & Red 12/03". Housed in a plain black frame. 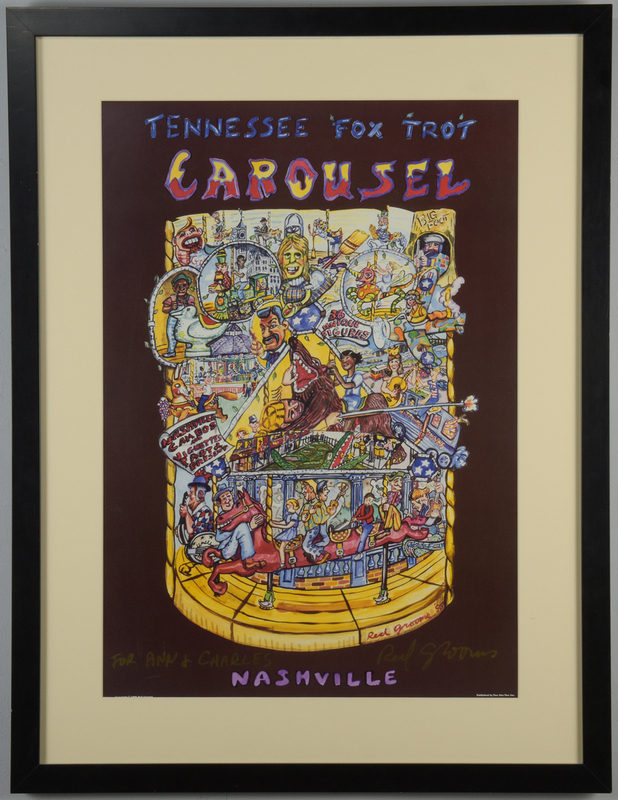 Sight – 22 3/8" H x 33 1/4" W. Framed – 24 3/8" H x 35 3/8" W. 3rd item: Red Grooms (Tennessee/New York, born 1937) signed color offset lithographic poster of the Tennessee Fox Trot Carousel, published by Two One Two, Inc., New York, circa 1998. 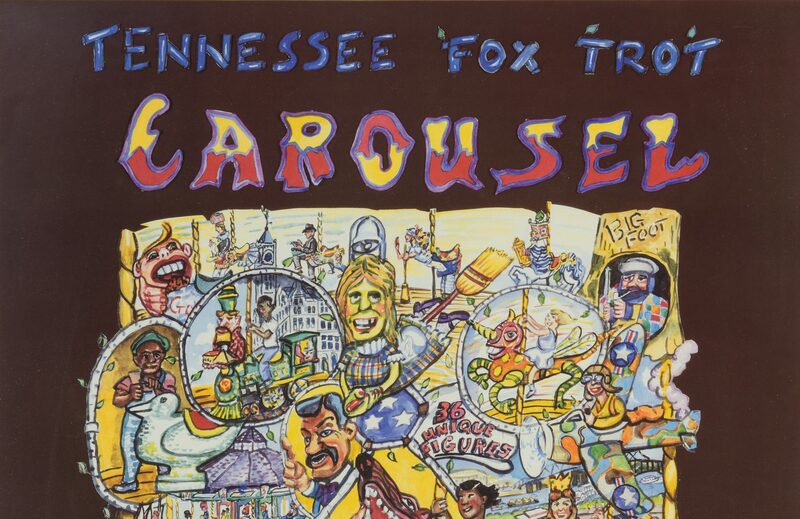 Inscribed "For Ann & Charlie" in yellow marker, lower left under image, signed "Red Grooms" in yellow marker, lower right under image. Housed in a contemporary black wooden frame. 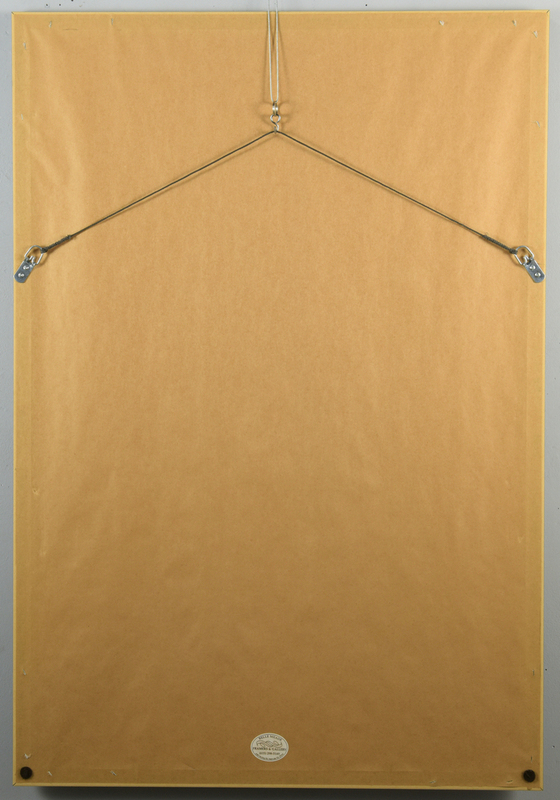 Sight: 33 1/2" x 25 1/2", Frame: 35" x 27". 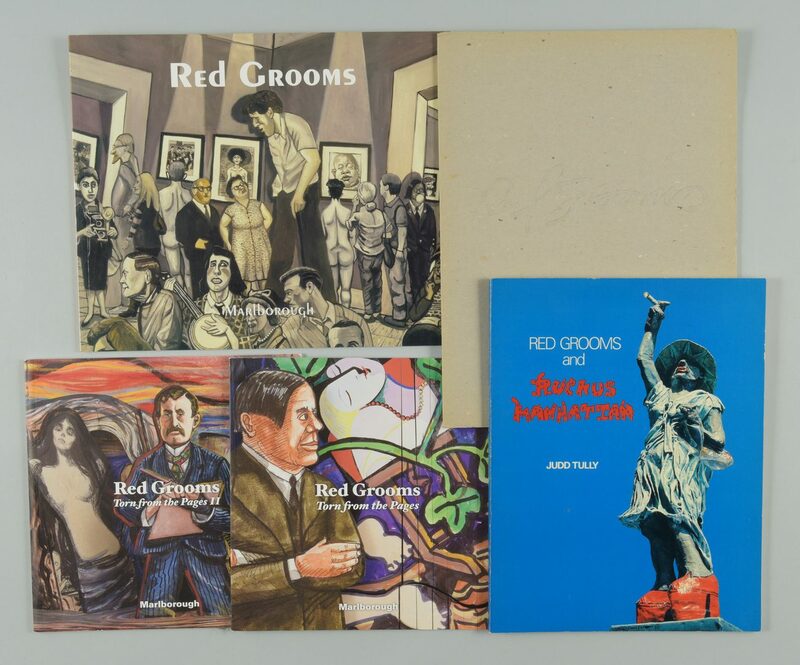 Lot also includes a large group of Red Grooms Literature, including several books signed by the artist: Set 1: 7 copies of Cheekwood Exhibition catalog (grey paperback), one inscribed by Red Grooms to the previous owner. 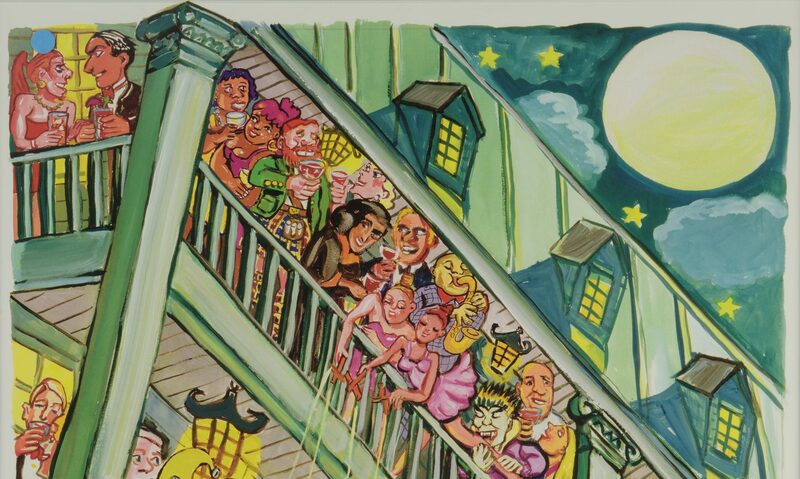 Set 2: 2 copies of Marlborough 2007 Exhibition catalog. Set 3: 2 copies of Marlborough 2004 Exhibition catalog. 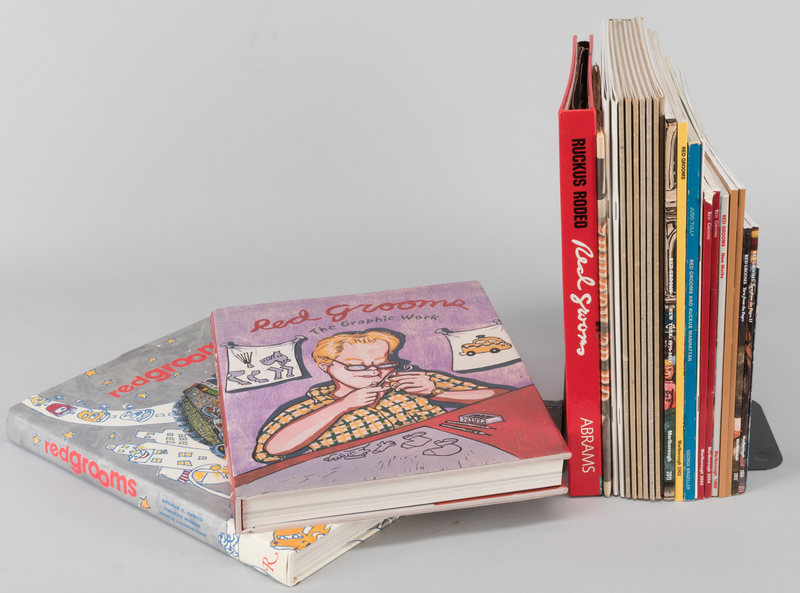 Item 12: Ruckus Manhattan Exhibition catalog. 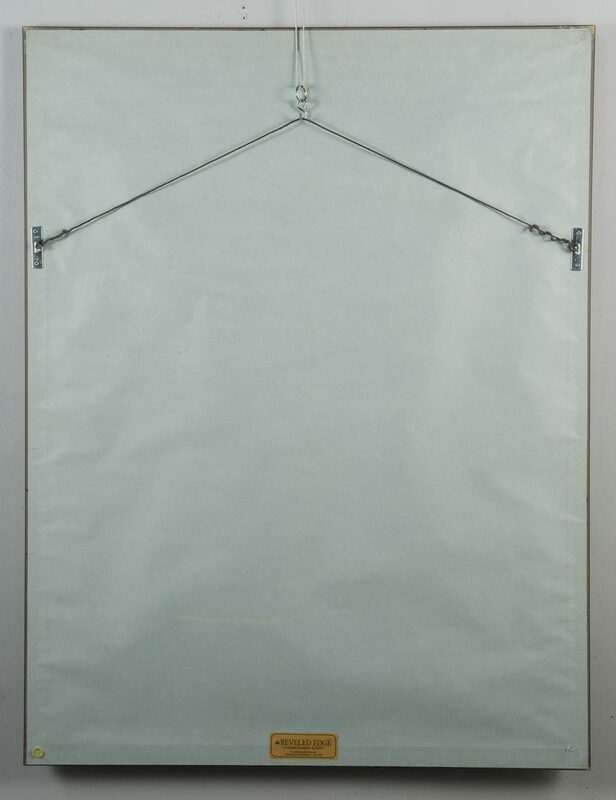 Item 13: Tibor de Nagy Exhibition catalog. 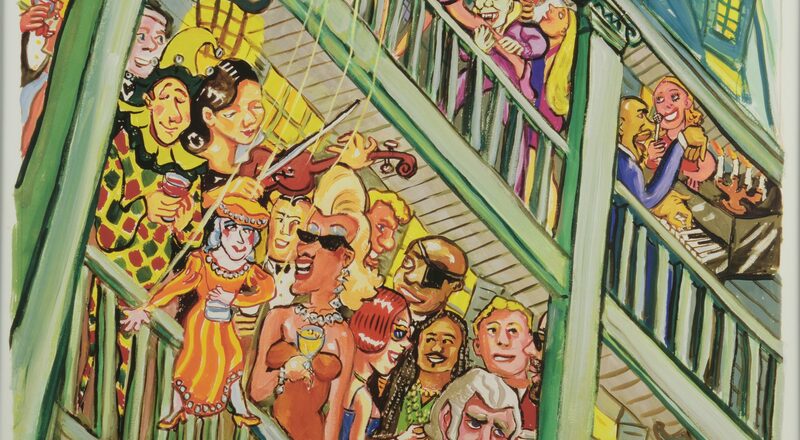 Item 14: Marlborough 2002 Exhibition catalog. 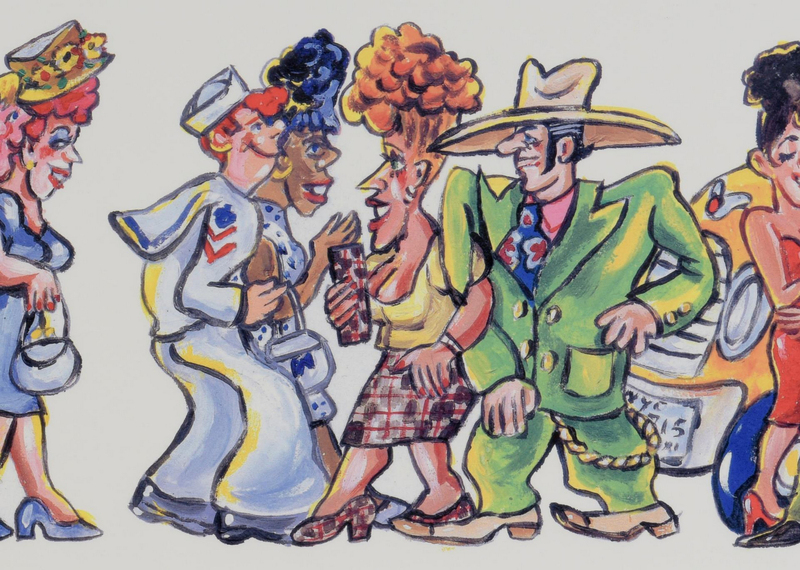 Item 15: Marlborough 1999 Exhibition catalog. 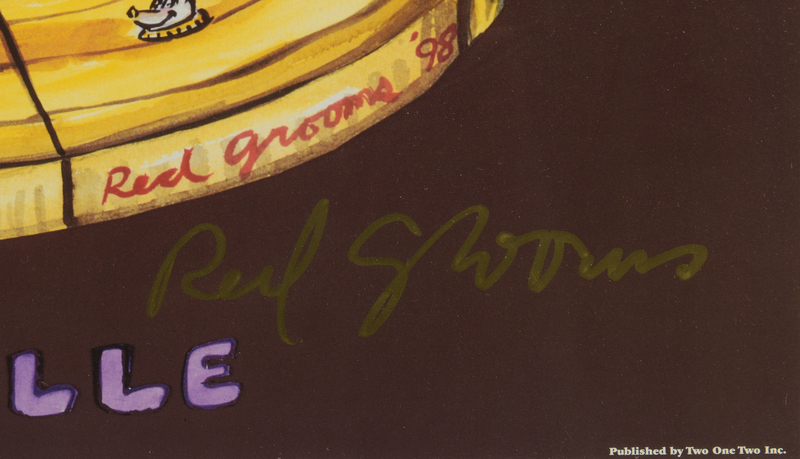 Item 16: Contemporary Art Center of Virginia Exhibition catalog, one inscribed by Red Grooms to the previous owner. Item 17: Marlborough 2012 Exhibition catalog. 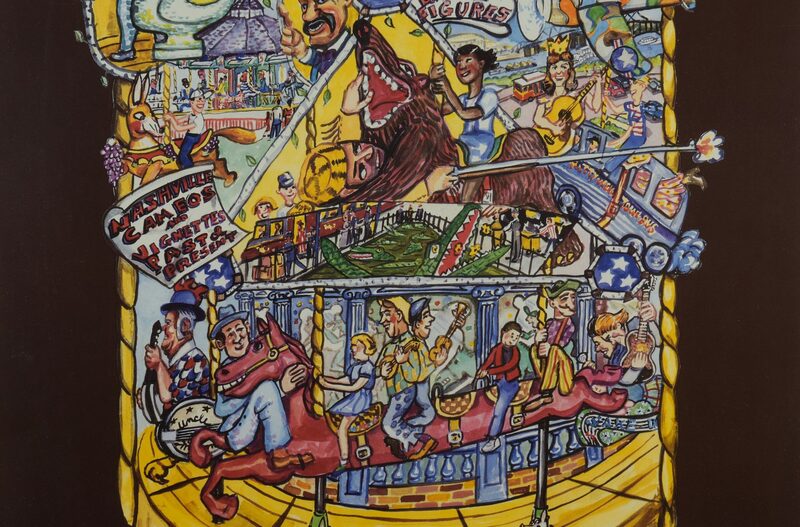 Item 18: Marlborough 2014 Exhibition catalog. Item 19: Marlborough 2011 Exhibition catalog. 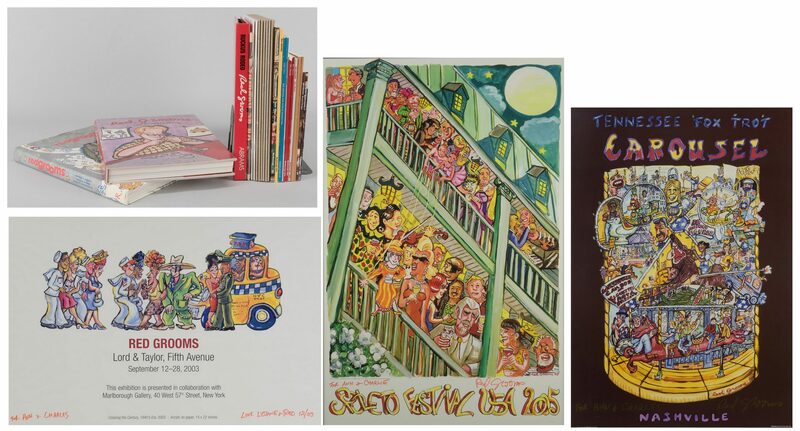 Items 20-21: 2 copies of Cheekwood Private Collection Artists Collect Exhibition catalog. 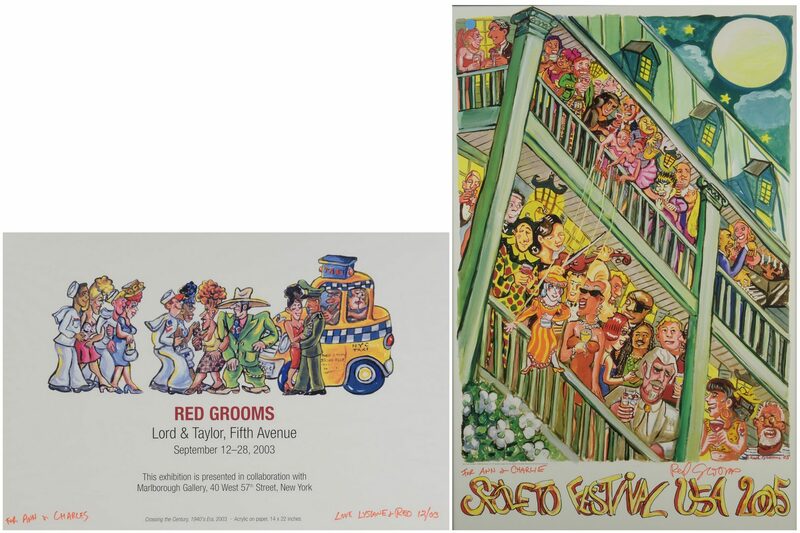 Item 22: Red Grooms The Graphic Work. 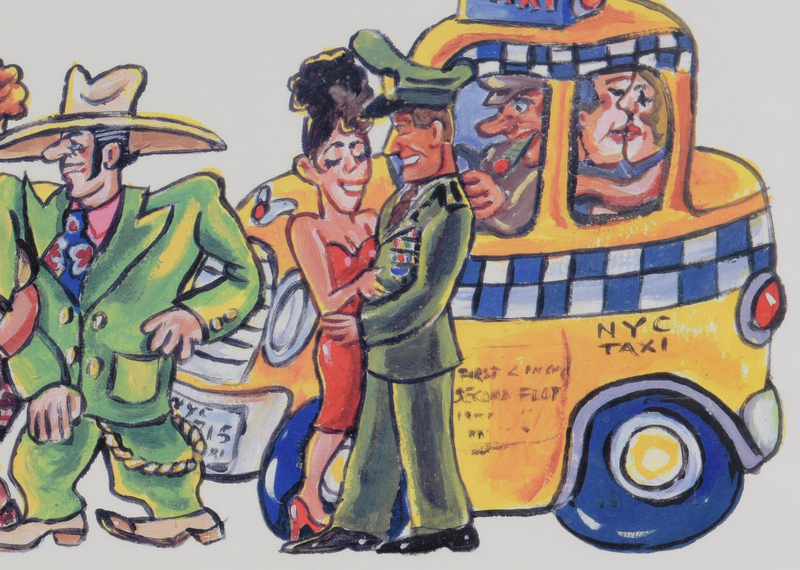 This book is inscribed by Knestrick to the previous owners on the half title AND inscribed by Red Gooms on the half title with a caricature of himself and perhaps the patron, Charles Wells, in red marker. 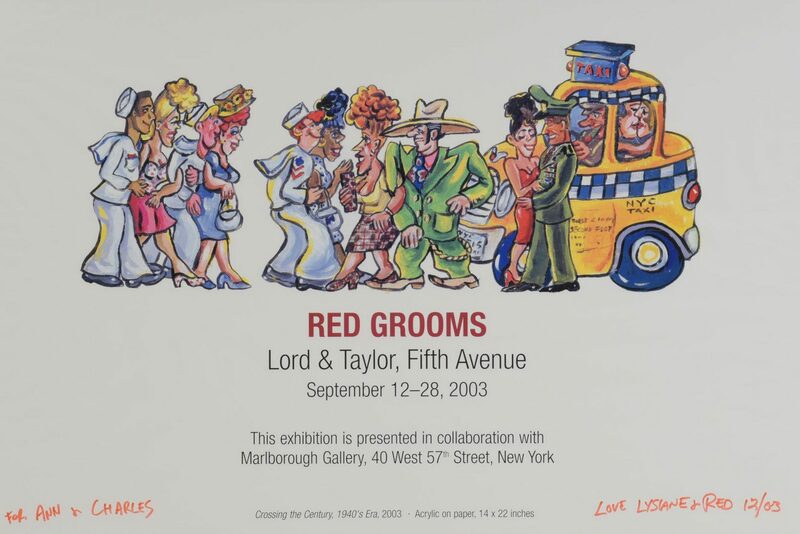 Item 23: Red Grooms. 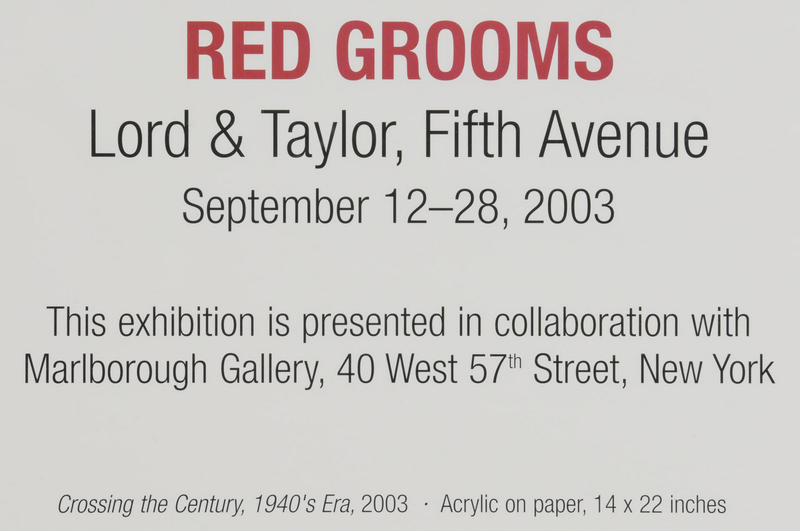 Inscribed by Red Gooms on the half title with a self caricature in red marker. Author: Danto. Item 24: Ruckus Rodeo pop-up book. 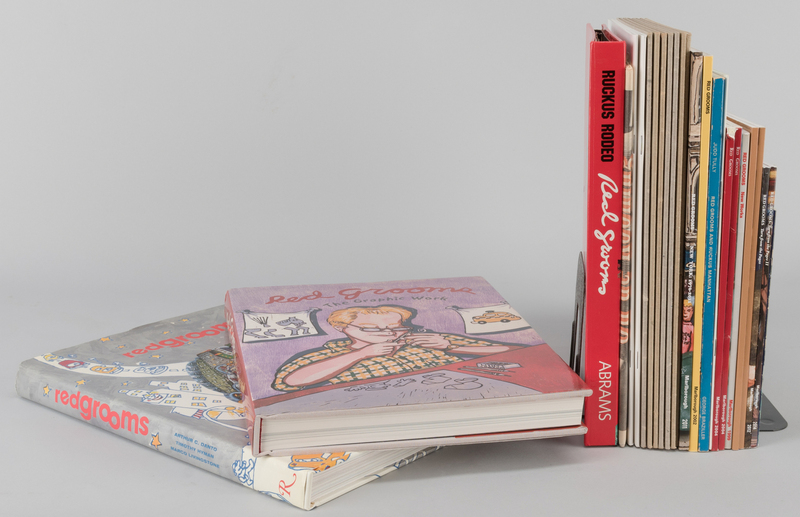 Books range in size from 7 1/4" H x 11" W x 1/16" D to 12 7/8" H x 10" W x 1" D. All items late 20th/early 21st century. Provenance: Collection of Charles and Ann Wells, Nashville, Tennessee. 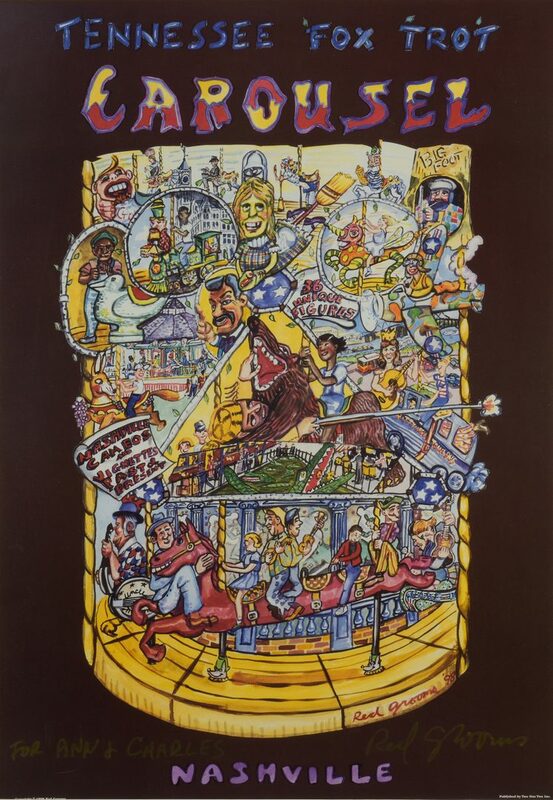 CONDITION: 1st poster: Overall excellent condition. Not examined out of frame. 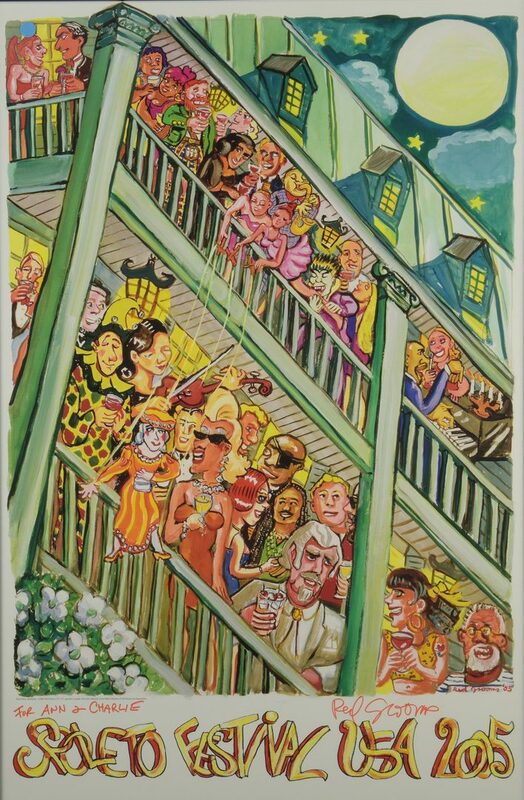 2nd poster: Very minor wrinkles to paper, otherwise very good condition. 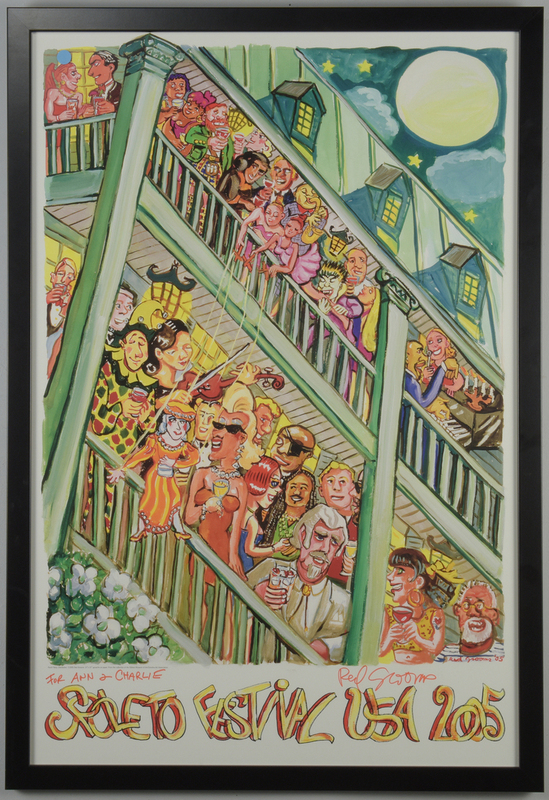 3rd poster: Framed signed poster in overall excellent condition. Not examined out of frame. 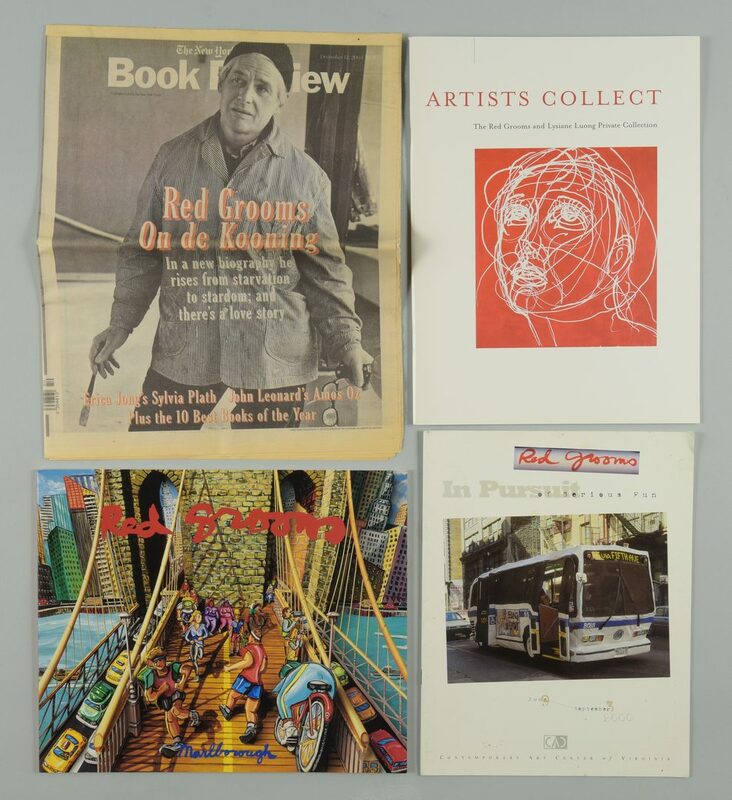 Literature: Group books and catalogs vary in condition from very good to excellent condition. Pop-up book, Ruckus, in good working condition with minor crease wear.